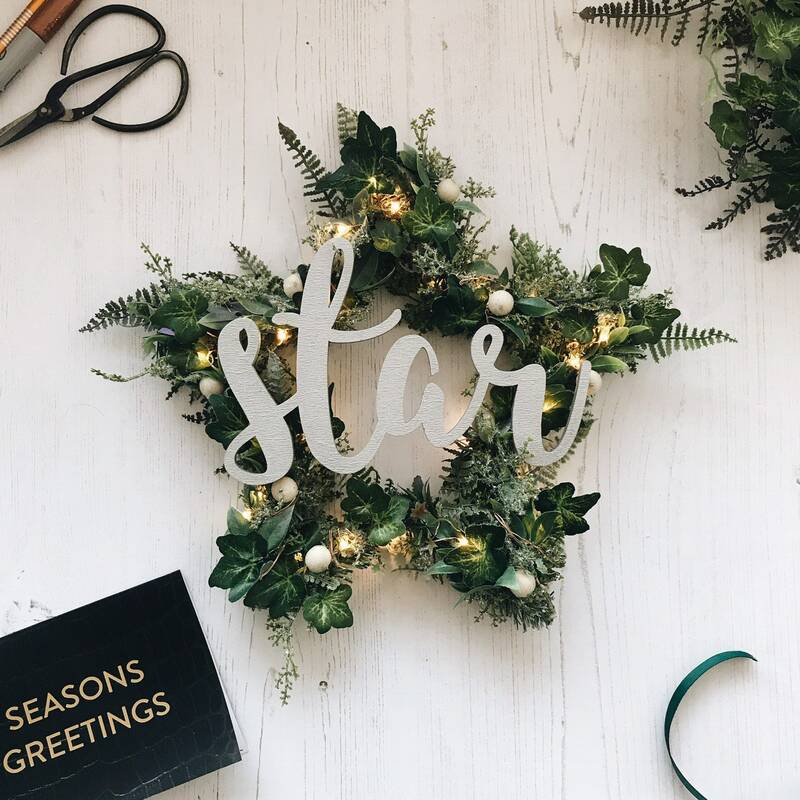 New for this year and inspired by my ever popular Infinity hoops, these brand new foliage star wreaths are the Goldilocks of Christmas decorations, they’re not too much, they’re just right! These festive star wreath’s would make the perfect addition to the home over Christmas and will shine indefinitely thanks to the high quality, artificial foliage – yes, that’s right, no watering required! 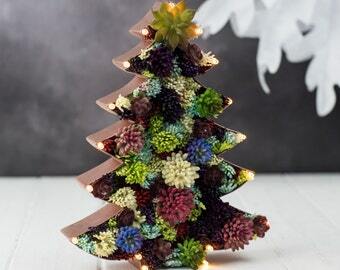 Scandinavian blue spruce, asparagus fern, forest fern, ruscus and ivy and winter snow makes this star ideal for the perfect understated Christmas decoration. 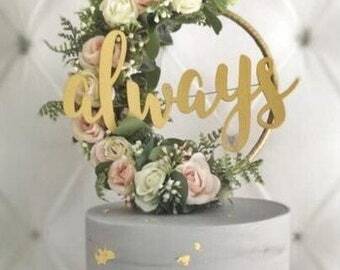 In the centre is a beautiful laser cut word; although the example shows ‘star’, it can be personalised (max 6 letters) and sprayed either silver, gold or copper - please make your request in the ‘notes’ section on checkout. To finish off the design, are a set of beautiful, copper wired micro lights, entwined into the foliage to provide a gentle twinkle at night. ~ High quality silk flowers / foliage – no watering required! ~ Optional 30 battery operated micro warm white LED fairy lights – batteries included. Battery pack is cleverly hidden amongst the foliage. ~ Words are treated with waterproof seal and spray painted with water resistant paint. ~ Please note: If you choose a longer word (6 letters+) the height of the letters will be smaller in comparison to the image shown. So beautiful! Very pleased with this purchase. My husband thought it was real foliage when he unpacked it, will become a wonderful Christmas decoration every year! Very clever storage for the battery pack, not visible at all but easy to switch lights on and off.